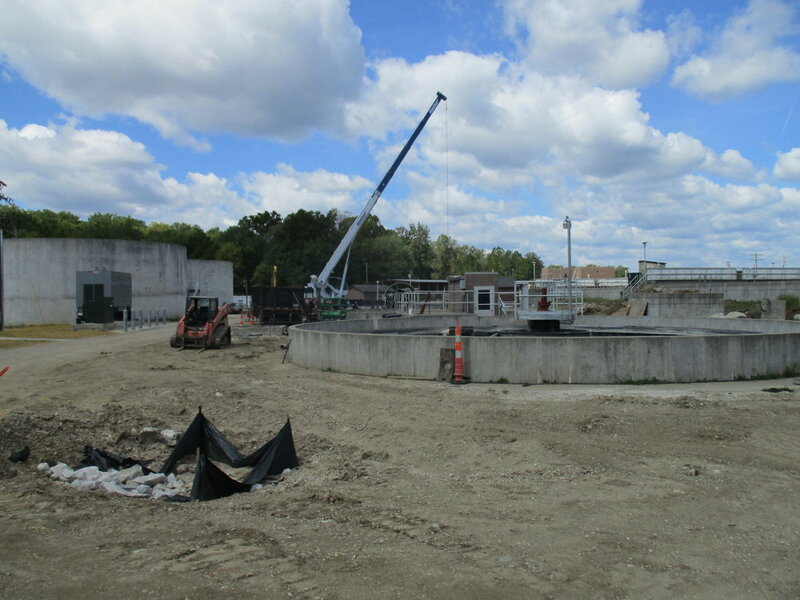 The Fulton WWTP Improvements Project was a job designed to improve the capacity and function of the existing treatment plant in Fulton, MO. This project was constructed for the City of Fulton and funded through the DNR SRF loan program and consisted of various new structures and modifications to existing facilities. A few of the new items included were a 90’ diameter clarifier, a new UV facility, a new headworks facility with mechanical bar screen and grit classification system, a new effluent pump station building, and associated yard piping and storm water system associated with those structures. Work on existing facilities included modifications to the existing influent pumps station structure to accept a new screw pump, a new aeration/mixing system for the existing aeration basins, removal and replacement of two existing 50’ clarifiers with new equipment, removing and replacing the existing effluent pumps, and various other work. The new equipment was also outfitted with instrumentation to allow for control by a new SCADA system which was part of the project. The total contract amount was over $8.8 million.